For configuring buttons in GUI by selecting action and pressing them. -No detecting if a key is used multiple times. What will most likely happen is that one of actions will be executed. 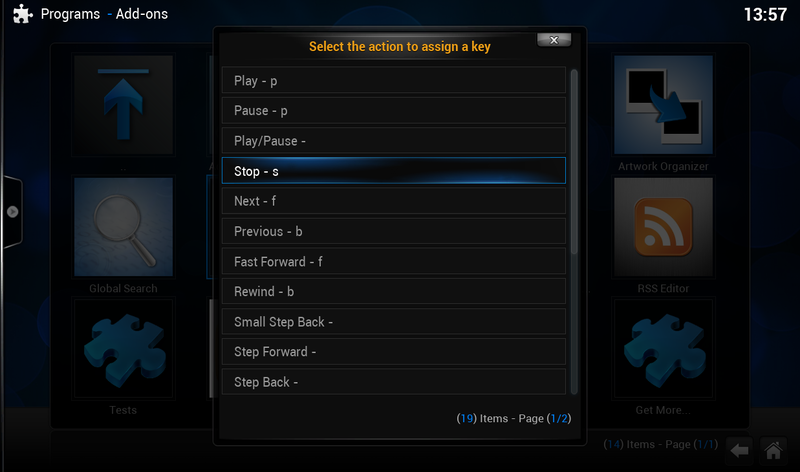 -Depending on what was previously assigned, xbmc might execute the old action i background when pressing the new key to assign. If you find any actions missing, let me know in this thread! Install from official add-on repository. I get a script error whenever I try to open it. Shouldn't that not matter for XBMC? XBMC for Mac OS X doesn't use external Python. Frodo's internal Python is what is limited to 2.6. 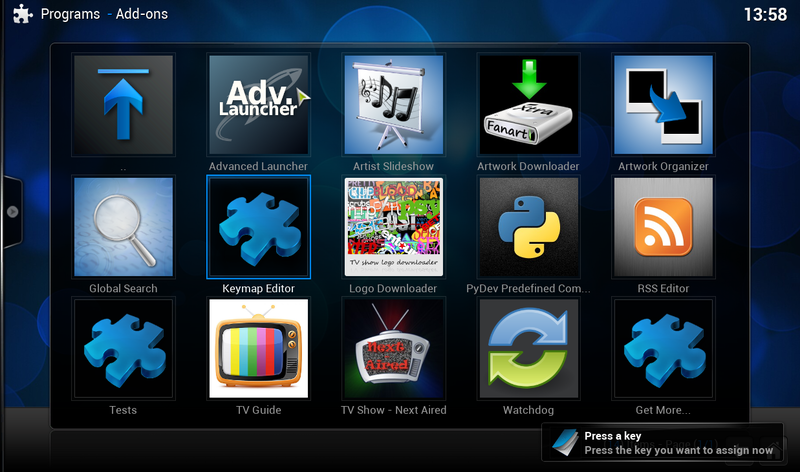 (2013-09-08, 05:36)Ned Scott Wrote: Shouldn't that not matter for XBMC? XBMC for Mac OS X doesn't use external Python. Frodo's internal Python is what is limited to 2.6. Not sure what you mean.. On both my linux computer and my openelec box xbmc has always been using python 2.7 so I never noticed, or even though about others having 2.6.
not all OS versions use the same. Funny thing is that I actually have Python 2.7 installed, but XBMC for Mac OS X can't (?) be compiled to use external libraries. In the meantime, I'll check it out on my linux HTPCs. Still very awesome to finally have a GUI for keymapping! I hope you get this working, a 'GUI click to map' keymap editor is long overdue. Will this advance to the next item after mapping a key? (so there is no 'down' button overwrites). I tried it and it's really cool, should be there in the settings by default. Ned, is this something that could be pushed? One feature that I couldn't find "System.LogOff", I used to map this to one button to switch between my two libraries. Now I've mapped to XBMC restart, but it's not quite the same and takes a bit more time. There could be an option to manually add something. It tried this this morning on a Pivos Linux and set the 'OK' to pause/play. After I did this the 'OK' wouldn't work to access anything even on the home screen. How do I restore the button? Can I delete the keymap folder in userdata and restart the box?